Plz Hold Mishaps in Customer Service: "You Must Be Super Busy, Since My Letter is Three Months Old Now"
"You Must Be Super Busy, Since My Letter is Three Months Old Now"
At writethecompany.com, there are amusing stories of company communications and the lack thereof. The title of this blog post reflects just such as a lack, this time by the manufacturer of Better Life green cleaning products, who took three months to respond to a letter from writethecompany.com. 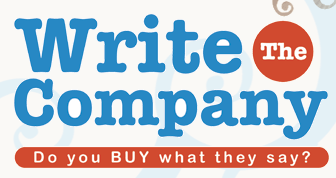 A central, if implied, message of writethecompany.com is that clever letter-writing doesn't always produce better, or more prompt responses than fiery, obscenity-filled expressions of outrage. The reason I’m writing is to inform you about some spices now on my rack called Ba l, hyme and Italia soning. At one time, they were known as Basil, Thyme and Italian Seasoning. Whatever you’re using to print names on the caps doesn’t seem to be worth its salt. Rather than reaching for specific spices on my rack, I’m concerned that I will soon be racking my brains to figure out which spice is which after the letters are all gone. Of course, I’ll always be able to spot the Sage. Variety is the spice of life, but if you can’t tell which variety the spice is, what kind of life can you have as a chef?